This Steril-Sil E1-DDA-3V stainless steel drop-in angled silverware dispenser is a great solution to your flatware storage and dispensing needs! 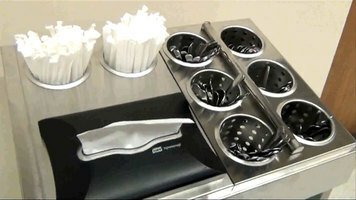 Whether you need to offer flatware at your lunch counter or store silverware at a serving station, this dispenser will hold all the utensils you need. 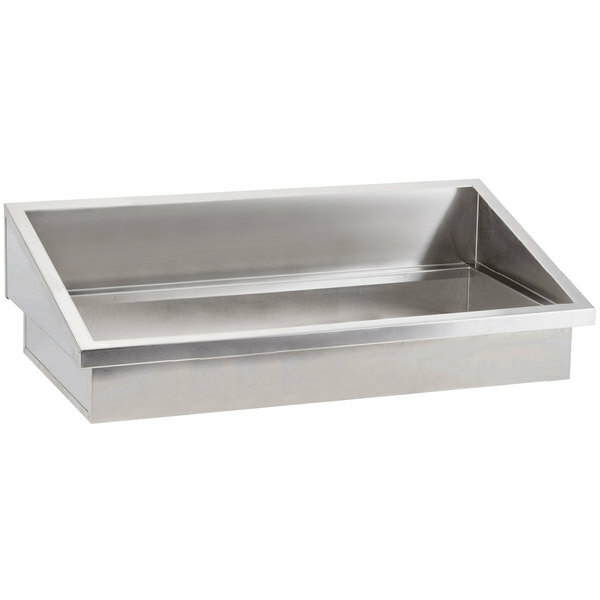 Its convenient drop-in design and angled top make storing silverware easy and also allow your employees to easily grab what they need. Made out of type 304 welded stainless steel, this dispenser is strong and sturdy and will last a long time. Use it with Steril-Sil's E1 inserts (sold separately) to easily store wrapped or unwrapped silverware in a sanitary manner. This dispenser holds three E1 inserts.